LIGHTS, CAMERA, ACTION- the stage of B-schools are set for the heat of campus placement season this year too. Eagerly awaited and looked forward with enthusiasm energy and elevated pitches with raised expectations to earn and bag a rewarding job and a handsome career with the best of industry. Action packed drama begins with the unscripted, unprepared raw story for the easiest yet apparently tough question perceived by thousands of management graduates across different B-schools. The first appearance of the student candidate spices up the campus interviews with emotions of an adrenaline rush, anxiety, panic-stricken faces, sweaty palms with pumping heartbeats to cut the first impression to answer “TELL ME SOMETHING ABOUT YOURSELF? RUN ME THROUGH YOUR RESUME? This answer becomes very challenging as we all embrace the word “SALE” and oppose the word “SELL” which we all invariably do every day. So how does one answer this? Well prepared is half done! What could make you win is the combination of PDCA (PLAN, DO, CHECK AND ACT) & ADDIE( Analyse, Design, Develop, Implement and Evaluate) model . The best of actors deliver the dialogues scripted for them with a spice of pitch, tone, and articulation but remember they are given a readymade script which is woven into the story. MBA grads, on the other hand, have to prepare their own storyboard which could be customized for the company which they are applying for. 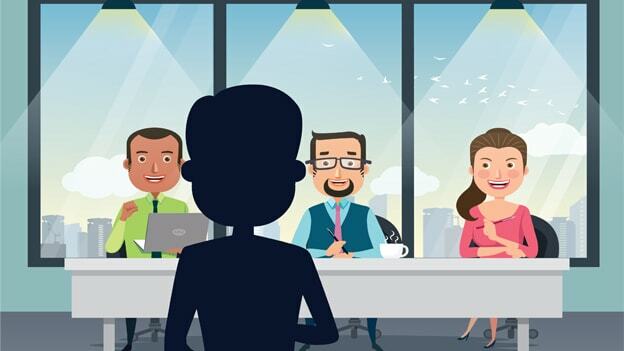 Who is the audience and their characteristics( job description and job specification )To Write, Rewrite, refine, register and redo the script of your professional qualities? Attach some keywords to describe your personality with adjectives adaptable, adventurous, daring, affectionate, ambitious, amiable, compassionate, considerate, courageous. Be choosy and check what suits your professional qualities mentioned and weave them together as per company needs and requirements). To make it unique avoid CCP (CUT, COPY PASTE) versions. You are unique brand and have to sell yourself with unique value proposition embedded for the job that you are looking forward too through the STORYBOARD creation. To sell one has to craft a story. So another tip is creating a high impact story which revolves around your professional values qualities, and company requirements. Remember you have to SELL YOURSELF. This is a signal to understand whether all the points of professional qualities, needs and qualities arising out of commonly understood word JOB DESCRIPTION AND JOB SPECIFICATION given by the company are addressed in the script or not. The applicant has to create a storyboard and develop a content interface to create a WOW experience for the end user (company). Make the first attempt and STORYBOARD WRITE with the use of following keywords before your name or after your first name and last name, skill sets mentioned by the company through job specification given. Think, organize and write. REWRITE if the script is not well written in the storyboard. Get it CHECKED Rehearse, Develop this in front of your trusted friends to capture maximum words that you can speak without referencing. You may forget some words of your script in rehearsing and understand where you have to tone down or elevate the pitch. The storyboard created can be first practiced and tested in-house with peers friends and colleagues. AND VOILA !!!!! You are ready to win over. This is the time to clap the ACTION board and just express naturally in front of the panel. STORYBOARD could land you at your desired job and company. If it doesn’t remember to introspect, evaluate what worked and what could have been better. Learn from your mistakes and don’t take rejections personally.